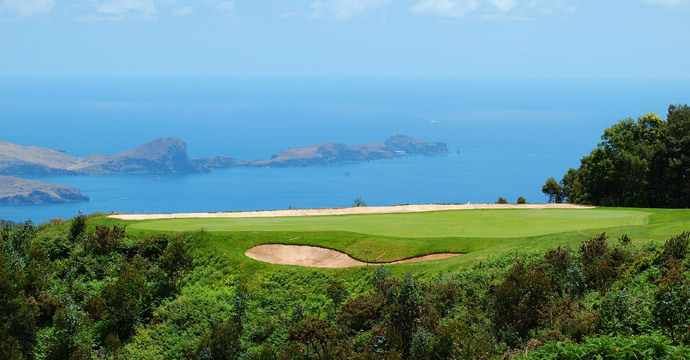 Take a look at our Top Golf Holiday Deals in Madeira, personally selected for you by Tee Times Golf Agency team of experts, based in Vilamoura. 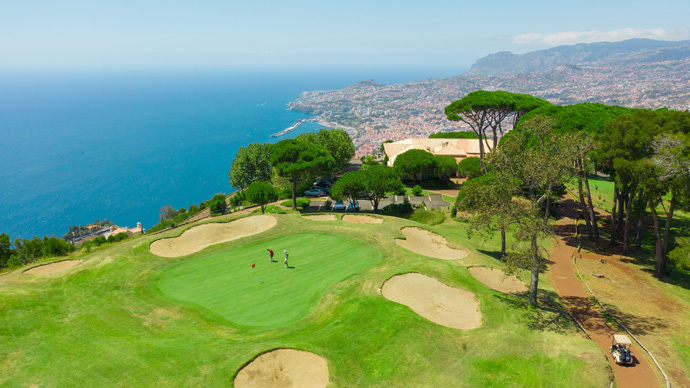 Casa Velha do Palheiro is a 5 star Spa & Golf Resort situated in the old Palheiro Gardens in the foothills of Funchal. 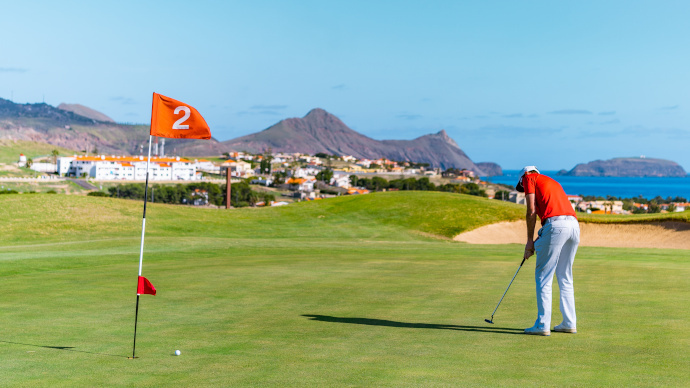 With access to the stunning Palheiro Golf Course, guests can also enjoy various golfing discounts. Casa Velha’s à la carte restaurant serves a variety of traditional Portuguese dishes along with a wine list. Lunch can be enjoyed either in the Club House or at the hotel. Guests can relax with a variety of massage treatments at the Palheiro Spa with an indoor swimming pool, sauna and a Turkish bath. 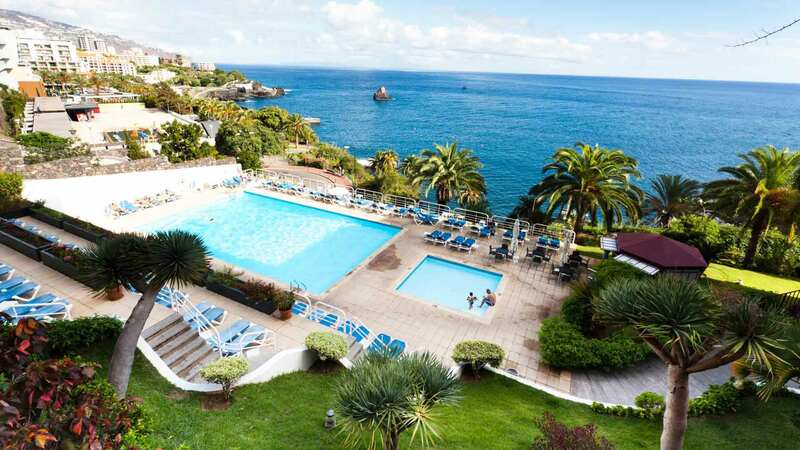 The hotel also features a private motor yacht at the Funchal Marina. Guests can enjoy a coastal cruise or take whale-watching trips. 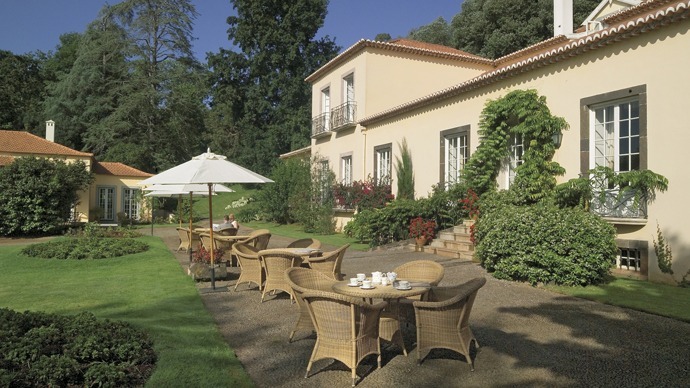 Casa Velha offers direct access to the award-winning Palheiro Gardens. Guests can enjoy deep-sea fishing or long walks in Madeira's famous Levada. 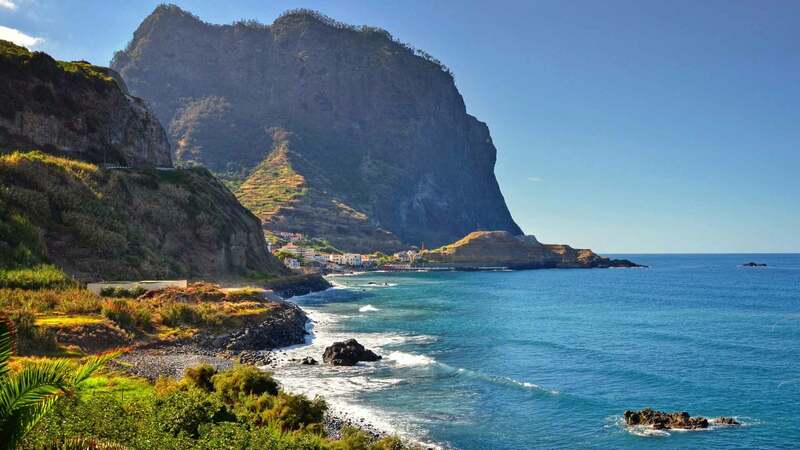 Located on the east coast of the Madeira Island, at Machico Bay, with a stunning view over the sea, Ilhas Desertas and Ponta de São Lourenço. Surrounded by subtropical gardens, the hotel nestles between a 16th century chapel and the traditional town of Machico. 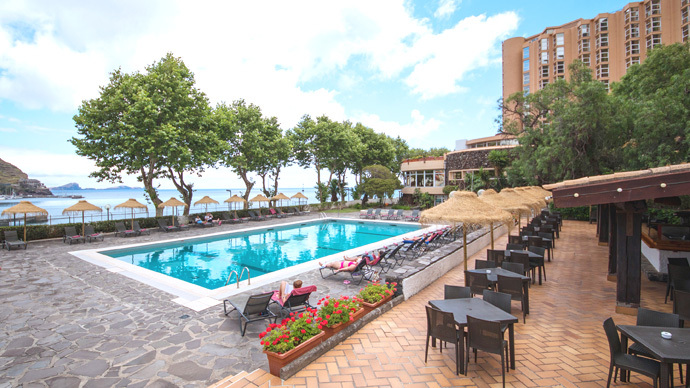 Only 50 meters from one of the few Madeira's white sandy beach, the hotel features a large salt water pool with a view of Machico Bay, a diving center, tennis and volleyball court. 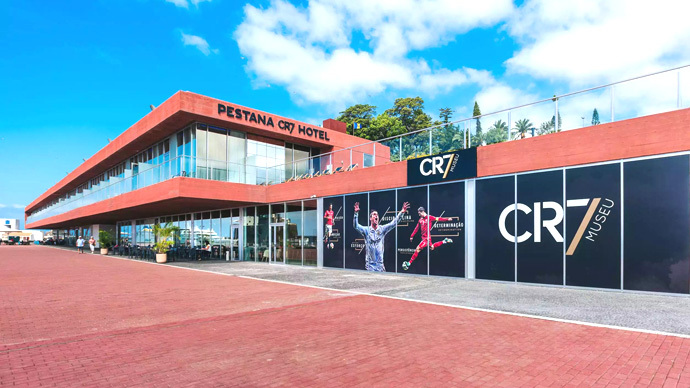 The hotel has a buffet restaurant, serving regional and international cuisine and two bars, where the famous Madeira beverage "poncha" and the unique "bolo do caco" cake are served. 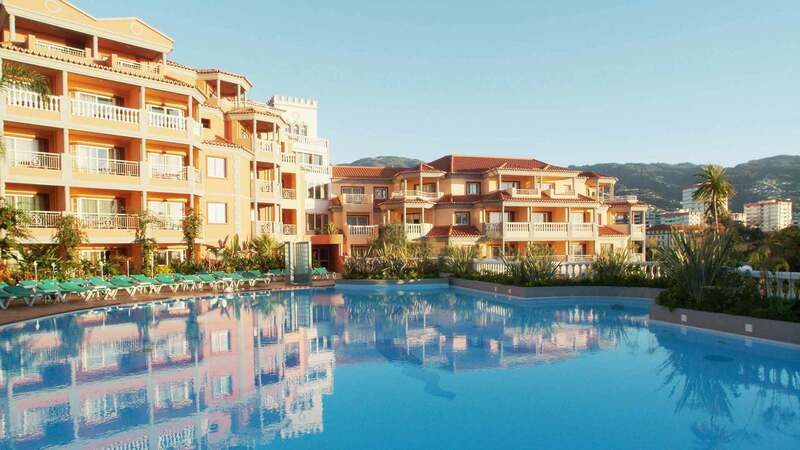 To ensure your holiday is worry-free, the Dom Pedro Machico hotel also offers an All-Inclusive option: with meals, drinks and activities included. In fact, you don’t have to travel a long way to find the ideal holiday destination. There are a thousand and one reasons for visiting Madeira! In addition to its stunning scenery and luxuriant mountains, this archipelago also includes a mild climate all year round, a warm welcome and peace, safety and security among its charms. To really get to know Madeira, climb to the top of a mountain and enjoy fantastic, breathtaking views or follow the trails and paths in the Laurissilva Forest along more than 1,400 km of levadas in a unique encounter with the island’s soul. Feel the energy flowing from the cosmopolitan ambiance of Funchal’s streets and buy some souvenirs, like the famous embroidery, Madeira wine or wickerwork. Try taking a tour around the island, stopping off on the way to admire the landscape or enjoy a traditional delicacy. For more energetic visitors there is scuba-diving, surfing, windsurfing or jet-skiing. Romantics may prefer a wonderful sailboat trip along the coast to enjoy the sunset. 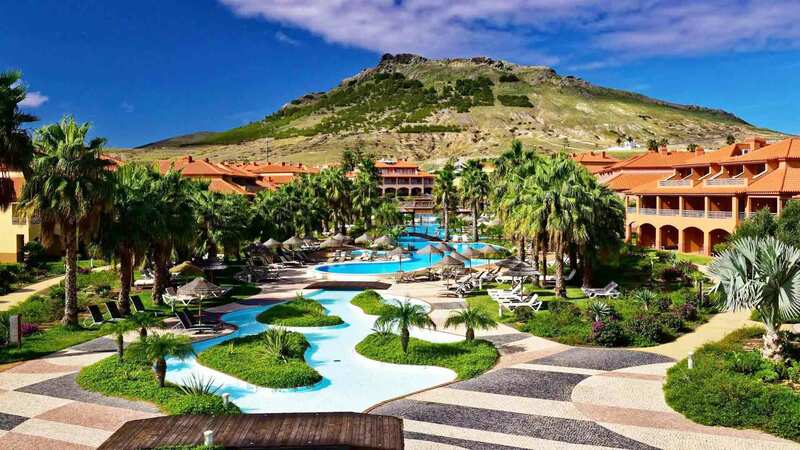 But to make this your dream holiday, you really must spend some time on the paradisiacal island of Porto Santo 40 km from Madeira, only 15 minutes by plane or 2h30 on the ferry. The “golden island” is blessed with 9 km of fine, unpolluted sand washed by a clear, calm sea - all you need for a perfect stay.